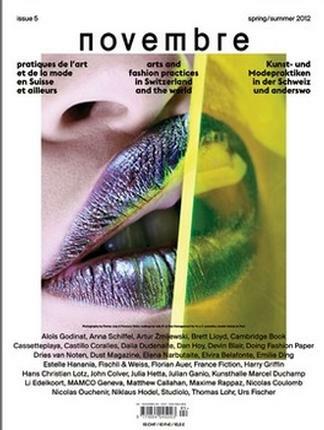 Novembre is a cutting edge, high quality, high profile fashion and art magazine from Switzerland with a monster 256 pages of stunning photography and editorial content published Bi-Annually in June and December. Novembre is a tri-lingual title with editorial in English, French and German making it a truly international magazine. Be the first person to tell us what you think about Novembre and you'll save $5 on your next purchase!